Some dracaena species, such as Dracaena cambodiana, D. cochinchinensis, and D. ensifolia are the resource plants for extracting the famous traditional Chinese medicine--Dragon’s Blood. It was reputed to be effective on invigorating blood circulation and is widely used as a wound-healing agent. Prof. Cai Xitao, founder of XTBG, started to study dracaena plants in 1972. Now, a dozen of pharmaceutical factories are producing this medicine in China. 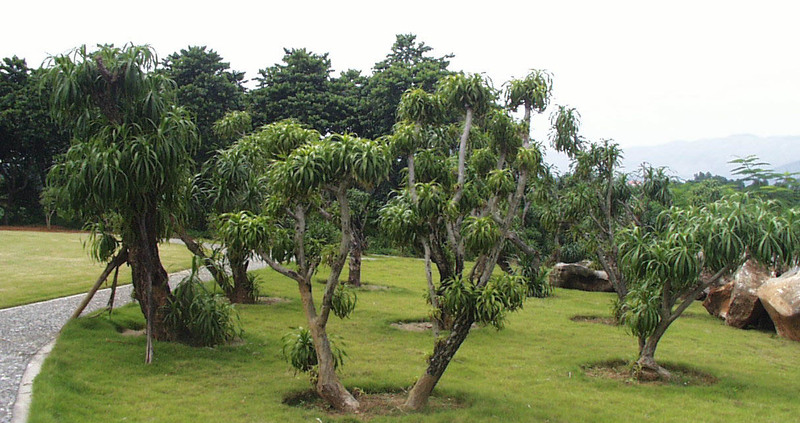 The Dracaena Garden occupies an area of 1 ha and has a collection of tens of species, almost all Chinese native species are included.